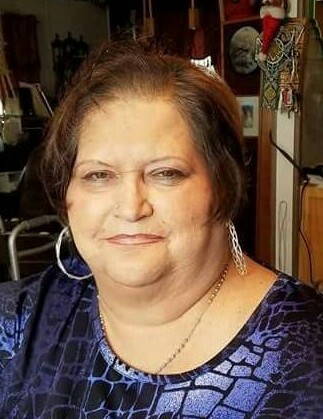 BUHL - Pamella Kay Garnica passed away peacefully Sunday July 8th surrounded by her loving husband Andres Garnica, family and friends. Pamella was born to Donald and Helen Jeans August 7, 1955 in Twin Falls Idaho. Pam’s father passed away when she was very young in a farming accident. Her mother Helen remarried to Charles Runyan, who later adopted Pam and her two siblings. Pam grew up in Rupert, Buhl, and Castleford areas, with a short time in Arizona. When she was eighteen she moved to Pocatello, Idaho and gave birth to her son Travis. They lived in Pocatello and Chubbuck for several years. Pam held several jobs supporting her small family. While her cousins Vicky & Renee would babysit, sometimes she was able to bring Travis to work with her at the 5 mile Restaurant. Pam met and married Juan Alvarez in 1979. She gave birth to her daughter, Chalia in 1980 in Pocatello. With Pam’s mother's sudden passing they moved back to Castleford, Idaho. Pam and Juan split up in 1996. Pam became a grandma in 1993, 1997, 1998 and 2009. In 2006 Pam met and fell in love with Andres Garnica. A few years later they married in Elko, Nevada. Pam worked for over thirty years in the health care industry as a CNA and an activities director at nursing homes in Pocatello and Buhl, Idaho. She treated each resident as if they were her personal friend or family member. She was very proud of the responsibility she had as a activities director at the Buhl nursing home on Sprague Ave. Even as her health began to fail in 2006, she still did all she could to improve the residents quality of life. Pam also worked as a cashier at Ridley’s market, but just for a few years. Pam was devastated when she was released of her job as activities director in 2012. She mourned the loss of many friendships with “her” residents. Pam, the tough cookie that she was, began having a closer relationship with her grandkids while dealing with failing health. In early 2018 Pam had a short stay at the nursing home that she used to work at. She was thriving once again! She didn’t consider herself a resident there. She would give advice to the CNA’s, therapists and nurses on how to do their jobs better. She knew what is took to pass a state survey! She had many hobbies, such as pottery, shopping, talking to friends, playing sudoku and card games, and shoes! She was preceded in death by her paternal father, Donald Jeans; her mother, Helen Runyan, and twin infant sisters. She is survived by her wonderful husband, Andres Garnica; her dad, Charles (Jackie) Runyan; brother, Claude (Paulette) Runyan; sister, Susan (Donnie) Whisner; brother, Rodney (Jaime) Runyan; brother, Corbin (Patti) Runyan; brother, David Runyan; brother, Herbert (Spring) Runyan; son, Travis (Marlene) Runyan; daughter, Chalia Mathews; grandkids, Shilo Runyan, Shado Runyan, Shellby Runyan, Wyatt Runyan, Holly Mathews, and Bella (her dog); many loving aunts, uncles, cousins, nieces, nephews and friends. She was going to be a great grandma soon! The family would like to thank all the medical staff who worked tirelessly to help Pam have quality of life; St. Luke’s Boise & Magic Valley Home Health and Hospice, Family Health - Dr. Stringham, Encompass - therapists both Dr.’s Rashid, caregivers Jackie, Jamie; awesome staff at Desert View Care Center, and Kim Coyote Prosthetics. Pam has contributed more to the world than can be written here. Please join us in a celebration of life at Balanced Rock Park on Sunday, July 22nd at 12pm. This is a potluck. Please bring a side dish that you remember Pam enjoying or making. If you would like to send flowers or help with the celebration you can mail cards to: Susan Whisher, 962 Milner Ave., Buhl, Idaho 83316. Cremation was under the direction of Serenity Funeral Chapel Life Celebration Center and Cremation Services of Idaho, Twin Falls. Condolences and photos may be shared at www.serenityfuneralchapel.com.